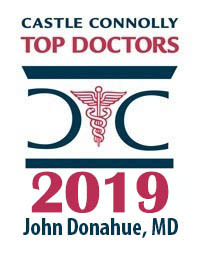 Dr. Donahue is a board certified ophthalmologist specializing in pediatrics and eye movement disorders. He performs strabismus surgery for both pediatric and adult patients with eye misalignments. 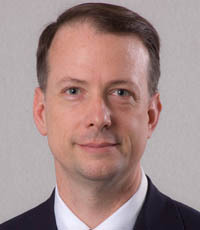 His practice includes patients with amblyopia, nasolacrimal duct obstruction and retinopathy of prematurity. He is a clinical assistant professor at Brown University. Dr. Donahue completed his fellowship in pediatric ophthalmology and strabismus at Children’s National Medical Center in Washington, DC. He completed his medical degree and residency at the University of Colorado. He also earned a Ph.D. in microbiology and immunology at the National Jewish Center for Respiratory Medicine and Immunology.